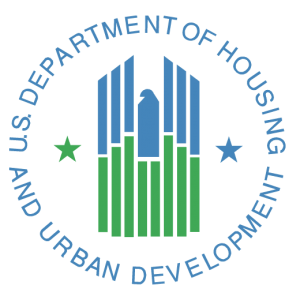 The Federal Housing Administration (FHA), which is part of the Department of Housing and Urban Development (HUD), administers various single family mortgage insurance programs. Number 1 Home Inspector is certified as a 203k Consultant/Inspector. For qualifications and certification verification, click here. EIFS is a modern siding product made from modified cement stucco. In areas of high rainfall, frequent rain, high humidity, or high indoor/outdoor temperature differences, the material has been shown to trap water and cause damage to the structure of the house. The insidious nature of this problem is that there is often no outward sign of distress until the structural damage has progressed to a significant stage. It is often impossible to identify moisture problems with an EIFS application visually. This is why several building and inspection organizations have developed protocols for moisture intrusion testing of EIFS clad buildings. Number 1 Home Inspector follows test procedures that are based on protocols developed by AWCI, the Association of the Wall and Ceiling Industry. These procedures reflect the best current methods for cost effective and comprehensive inspection for moisture intrusion and entrapment inside EIFS claddings. Our inspectors visually survey the EIFS installation for conformance with industry standards. We then employ noninvasive moisture detection methods to locate potentially wet areas of the building. These areas are then probed through available areas of the cladding to determine the precise moisture levels. The probing can be essential to determine how severe the damage may be and toward recommending an intelligent course of action. Our reports include descriptions of areas requiring maintenance or repairs, recommendations for follow-on inspections or material removal as necessary, and recommendations for future inspections and maintenance. NACHI - International Association of Certified Home Inspectors, Inc.
Click here to view our qualifications and certification. EDR is the nation’s leading and most trusted provider of environmental risk information reports. You can be confident that every EDR Neighborhood Environmental Report is backed by over 15 years of experience and the accuracy and comprehensiveness of the largest collection of local, state, and federal environmental information in the U.S. The EDR Neighborhood Environmental Report identifies potential risks such as leaking underground tanks, landfills, and toxic waste sites on or near a property. The report is delivered in an accurate, comprehensive, easy-to-understand summary, and is available to you by Number 1 Home Inspector's EDR-Certified inspectors and if problems are found, our inspectors are trained to guide you to a solution, which oftentimes can be resolved through inexpensive and easy to implement solutions. Number 1 Home Inspector is dedicated to providing homeowners with valuable information on how to save money on their WindStorm Insurance. Why do you need a wind mitigation inspection? The answer is simple: to save money. With the hurricanes that have battered the South Carolina coast over the past few years, insurers have raised their prices to unbearable levels. In order to mitigate this expense, you as a home owner have several options available to you. The most effective tactic for reducing your premium is to have a wind mitigation inspection. What that is exactly, is a close inspection of your home that may reduce your premiums. Obviously, this is a very useful service, and one that will pay for itself in a very short amount of time. During a wind mitigation inspection, our certified expert inspector will come to your property and look for key features of your home that show that it will be less likely to be harmed or catastrophically damaged during a hurricane or strong wind storm. Features such as concrete block construction, the presence of gable end bracing, a hip roof, the presence of a single or double roof straps, the presence of a secondary water resistance barrier, or shutter and opening protection will all qualify a home for wind mitigation certification. This allows the inspector to give your home a certificate stating that it is better equipped to endure such an event than a home lacking these features. In South Carolina a damage mitigation program known as the SC Safe Home Grant Program offers grants for homeowners to fortify their homes against hurricane or severe wind damage. The SC Safe Home Program provides funds for the purpose of mitigating and retrofitting owner occupied residencies against the damaging effects of severe wind caused by hurricanes. Strengthened homes are less likely to attain the damages that create high cost repairs after severe storms. Less storm damage results in a reduction of costly insurance claims and lowers the insurance premiums for every homeowner in general throughout the state. The main goal of the program is to ultimately save the homeowner money. In order to qualify for a mitigation grant, contact Number 1 Home Inspector for a Certified Wind Inspection Assessment and Report of your property. The resulting Inspection Report must accompany all SC Safe Home Grant Applications in order to gain approval.